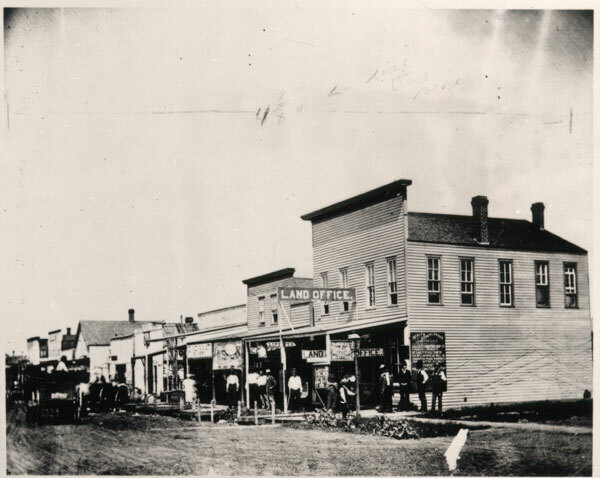 Description: Looking northwest at first block of north Main Street. Business signs include Black & Nixon Grocery; C. A. Bayley Company, Hardware; and W. C. Woodman, Groceries. 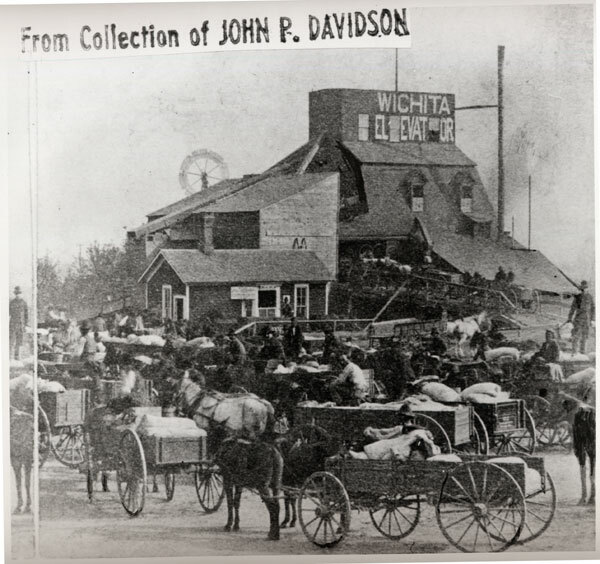 Keywords: Wichita, business and industry, street scenes, transportation, horses, wagons, false front, architecture. 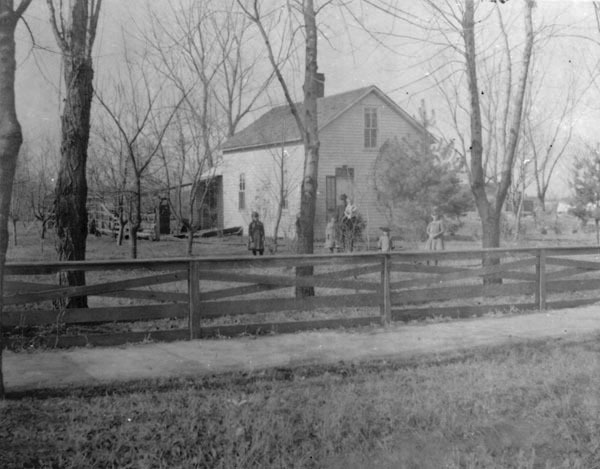 Description: View looking northwest at early house in Wichita. Identified as residence of H. W. Dunning at 535 North Lawrence (now Broadway). The family is gathered in the front yard. Keywords: Architecture, homes, people, Wichita. Description: Farmers bringing wheat to be milled at the Wichita Elevator, Russell & Furlong, Proprietors. 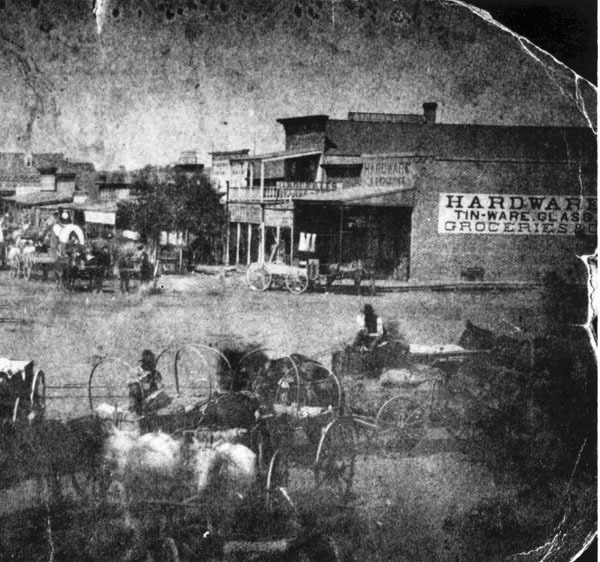 Located at the corner of First and Fifth (now know as Santa Fe) Streets. Keywords: Wichita, agriculture, business and industry, public events, street scenes, transportation, horses, windmill, farming. Description: View of East Douglas Avenue looking west from newly erected Imboden mill in 700 block east. Arkansas River defined by trees in distance. 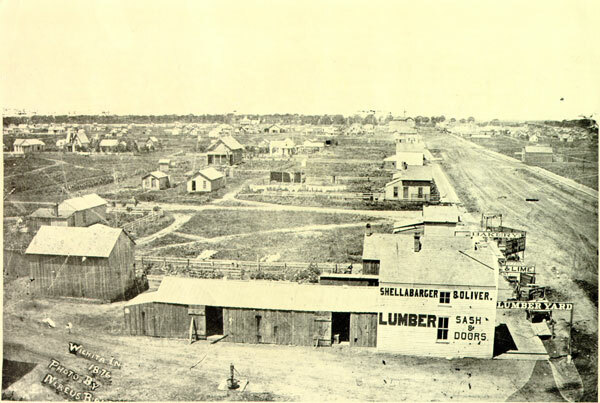 Keywords: Wichita, street scenes, business and industry, residences, downtown, lumber yard, architecture. 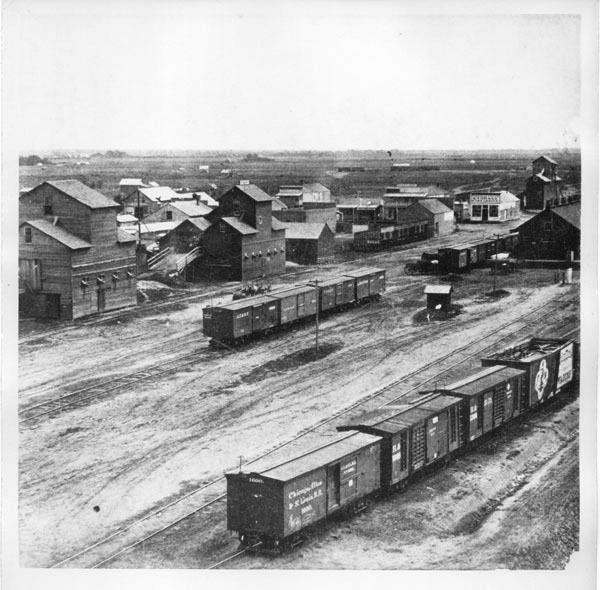 Description: Douglas Avenue looking west from the Santa Fe railroad tracks. 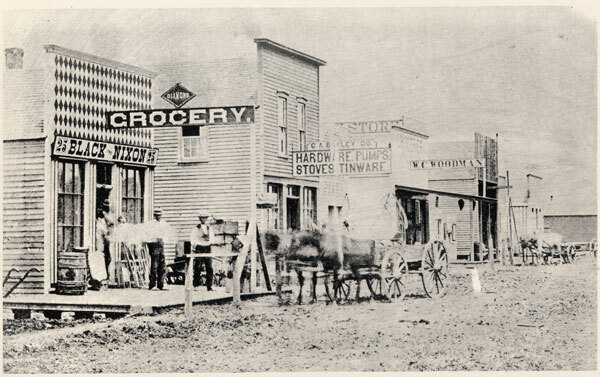 Keywords: Street scenes, people, horses, wagons, commercial buildings. Keywords: Wichita, transportation, business and industry, trains, railroads. 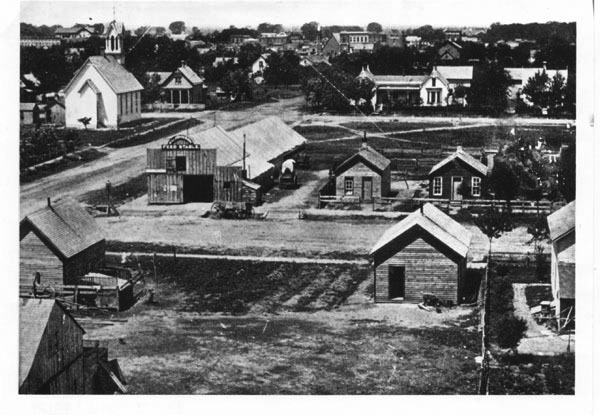 Keywords: Wichita, street scenes, religion, business and industry, agriculture, churches, stables. Description: Douglas Avenue, looking west at north side of street. Land Office in foreground is Healy and Niederlander, Real Estate Company, at the corner of Emporia and Douglas. Other business signs visible include Lipperts (?) and the Cincinnati Bakery. Keywords: Wichita, business and industry, people, street scenes, false front, buildings, architecture. Description: Members of the Robert Lawrence family gathered in front of their residence at 415 South Seneca Street. 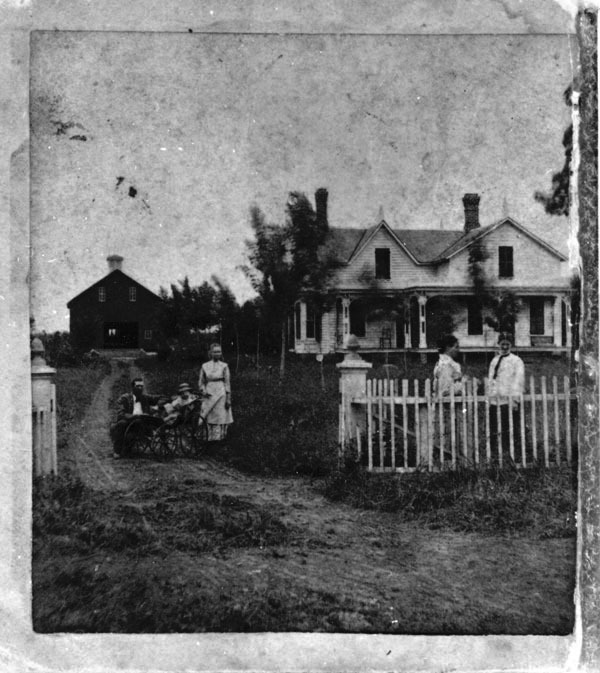 Early home in the Delano neighborhood built in about 1871. Identified as the first residence of R. E. Lawrence and was replaced later by a grand limestone home. Keywords: People, architecture, houses, baby carriage, West Wichita. Description: Residence at 509 South Lawrence (Broadway) owned by C. R. Miller. The home, with Gothic Revival styling and Stick and Shingle details was designed by architects Will Sternberg and the yet unknown, Stanford White. 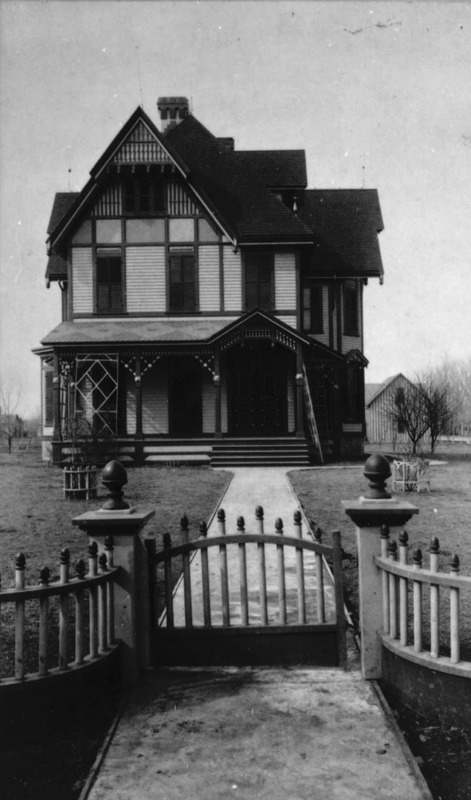 It was built in the late 1870s and demolished in 1923 to make way for a filling station. Keywords: Architecture, Victorian, houses, people, Wichita.